How to Use Filter to Quickly Find the Wanted Shortcuts? To find the wanted shortcuts you want effectively, the integrated filter will help. You can specify filtering criteria. 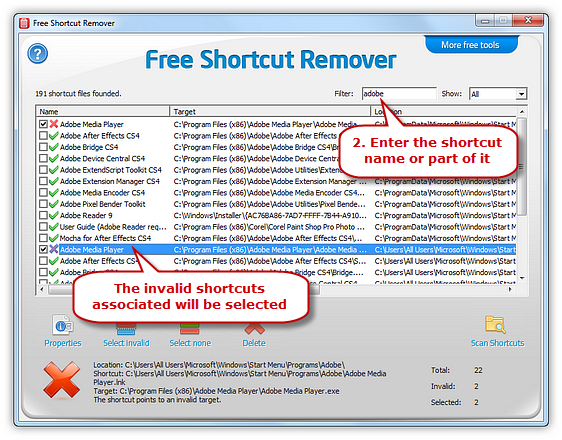 It supports displaying any specific group of shortcuts and hides the rest from viewing so that you can find the shortcuts you need. 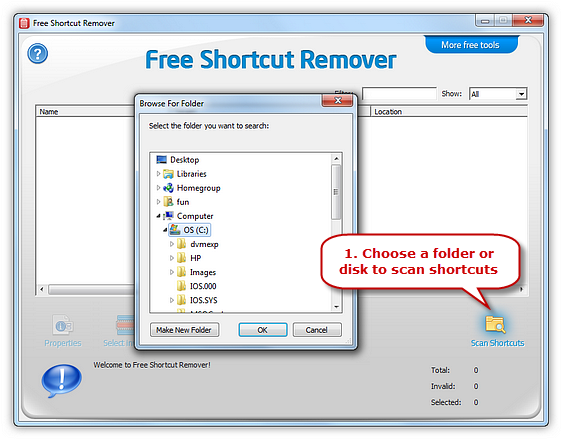 The shortcut files found will be listed with info like name, target, location and other details. The program marks the broken shortcut (when the files it is linking to is missing) with a red cross so you can spot it easily and solve the problem. To quickly find the shortcut wanted, you can enter the shortcut name or part of it in “Filter” box.